The implantation of an embryo in the uterus is a crucial early step in establishing a successful pregnancy. This is a hatching blastocyst, ready to find its implantation site and begin life in its new home for the next 9 months. You can see how busy this little embryo has been just getting this far by clicking here! There are some things we know about implantation and much we don’t know – most of the information we do have comes from research done with IVF patients. But of course what applies to implantation of an embryo in an IVF cycle also applies to natural conception. Our discussion today could also be called “Where to next for the IVF patient who is NOT getting pregnant”? This frustrating situation might be occurring for the IVF patient who, despite creating good looking embryos like the little guy above, fails to establish a viable pregnancy after they are transferred to the womb. Women in this situation start to think that there is something wrong with them, something wrong with their body or mind that they won’t accept an embryo. Or something wrong with the inside of their uterus and its lining. We have heard for a long time from reproductive specialists that implantation is ALL about the embryo (“embryo driven” they say) and further …… ALL about the quality of the egg and its aging (in women over 37) chromosomes. This theory suggested that if you had an embryo that was genetically normal, all would be hunky dory. But now we know that’s not the case. You might be surprised to hear that in most IVF clinics only about half of the “genetically normal” embryos (determined by pre-implantation genetic diagnosis/screening, PGD or PGS) actually implant and become a viable pregnancy. So what is going on with the large number of genetically normal embryos which DON’T implant? Can we still blame lack of implantation on the poor embryo? Or the poor eggs? But in many cases, the failure might be at the implantation stage, and relate to the all important relationship between the uterine lining and the embryo. So lets look at all the things we know can make a uterine lining (also called the endometrium) more receptive and how we might be able to influence these. This might be the key to helping all those genetically normal embryos who fail to get a foothold and become a viable pregnancy.………. The lining of the womb must be adequately prepared for pregnancy (decidualised) before it can recognise and accept an embryo. 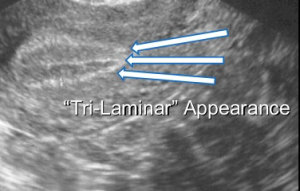 On an ultrasound, a more receptive lining has a tri-laminar appearance. 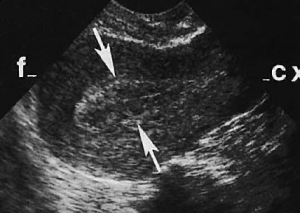 The action of oestrogen in the follicular phase leading up to ovulation, stimulates the lining to develop until it shows this 3 layer appearance (ultrasound from Dr Sher, SIRM), which has been associated with better implantation rates in frozen embryo cycles. 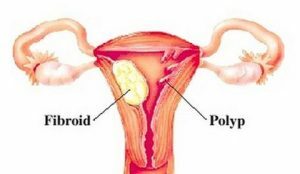 There must not be any structural impediments to implantation, such as uterine abnormalities, polyps, fibroids, retained products from an earlier miscarriage or adenomyosis. Some of these impediments may be amenable to a Chinese medicine approach but often surgery may be required. Best to get the expert opinion of a reproductive specialist. 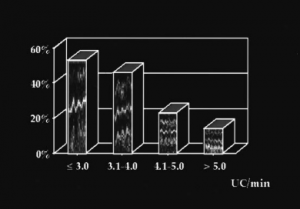 The inside lining should look smooth like this (ultrasound from Prof Gadir) ……. 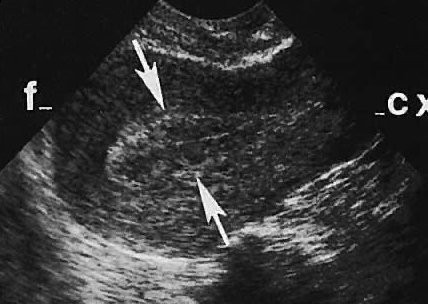 Blood flow to the uterus, and particularly the endometrial and sub-endometrial regions of the uterus, appears to be advantageous for implantation. 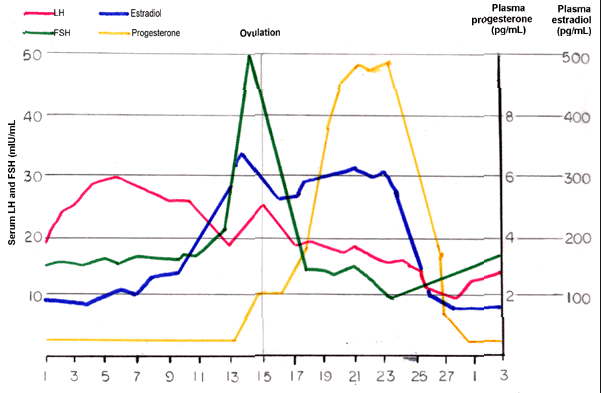 Frequency of uterine contractions increase around the time of ovulation (maybe to help sperm move up into the tubes), and usually calm down by about the time of implantation (under the influence of progesterone) some 5 – 6 days later. However its not unusual for women having an embryo transfer in an IVF cycle, to experience some cramping, which might not be conducive to implantation. The more contractions after embryo transfer the lower the rate of successful implantation. 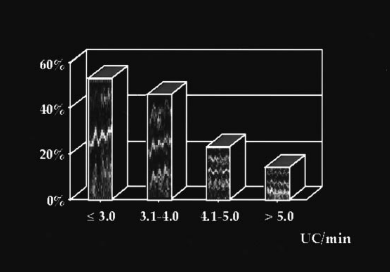 As you can see from this graph (Hum Reprod, vol.13 no.7 pp.1968) when there are more than 5 contractions per min the implantation rate drops to around 10% compared to lower rates of contractions where the implantation rate is 50%. Studies have shown that the lining needs to be 6 or more millimetres for successful implantation. This requires not only correct tissue structure and the right receptors and likely many other factors we don’t know about yet, but also the right balance of hormones. As you’ve seen above, we need good levels of estrogen to prime and stimulate the growth of a receptive lining. 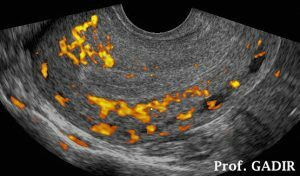 We need good levels of progesterone to maintain it and to ease the contractility of the uterus during the implantation window. 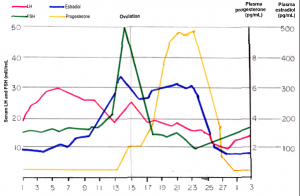 In some IVF cycles, the levels of these hormones are not ideal and are certainly nothing like the sorts of levels the body experiences in a normal menstrual cycle. This is why some IVF clinics prefer to transfer (defrosted frozen) embryos in a natural cycle into a natural environment. For women who are trying to conceive naturally, making sure that the ovaries are functioning well will usually ensure that levels of estrogen and progesterone are optimal for creating the uterine lining conditions that promote implantation. The immune system plays a crucial role in whether an embryo will successfully implant or not. Autoimmune disease, or subtle imbalances in the immune regulation of the uterine environment can have a large impact on an embryo’s attempts to implant. 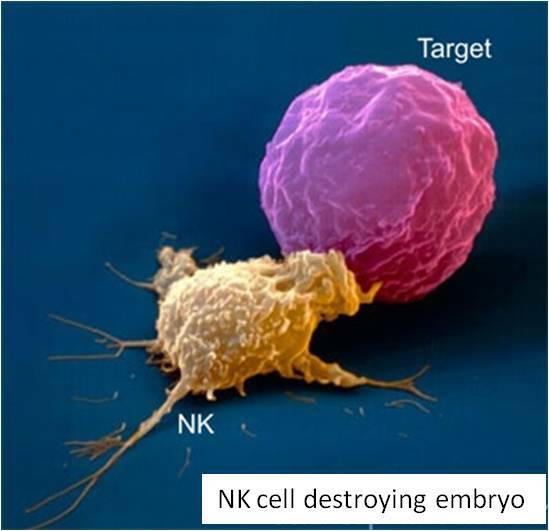 For example elevated uterine levels of certain immune cells called natural killer (NK) cells have been shown to impede successful implantation or establishment of pregnancy, as have activated T lymphocytes. On the other hand the actions of some T cells and NK cells are necessary to promote a favourable environment for implantation. Its getting the balance right ……. This is a complex and fascinating topic much of which is another story for another day. You may have heard about how important the diet of the mother is to the development of the embryo, and then the growing fetus in the early days of pregnancy (the Barker hypothesis). Maternal diet at this time can have a big influence on the risk of development of chronic diseases later in the baby’s adult life. Diet can change the pre-implantation environment of the uterus and hence affect the newly arrived embryo – specifically diet has been shown to change the amino acid balance. We know that amino acids play a number of physiological roles in pre-implantation development – they can be an energy source for the blastocyst, or building blocks for new proteins or DNA, or act as antioxidants or cell signalling messengers. In the IVF incubators, amino acids are important components of the medium embryos grow in. Women who have diets that are based primarily on fresh vegetables and fruit with some fish, have what may be a more favourable amino acid profile in the uterus than women who eat a lot of red meat and dairy. The uterine amino acid profiles of the women who eat more fresh foods and less red meat show a low amino acid environment – and it is thought that this may selectively support the development and implantation of high quality embryos (sometimes called metabolically “quiet” embryos). And now you need to think about all the tools you have at your disposal to really help make a quality uterine lining that is conducive to embryo implantation. 6 steps you can take now to help support uterine health ……. In traditional TCM gynecology texts (from those dating back many hundreds of years, up to those used in universities in China today) the first chapter is always called “Regulating the Menstrual Cycle”. Chinese medicine doctors knew way back in the Song Dynasty, that if a patient had a regular and problem free menstrual cycle, then the chances of conception increased. A regular and problem free menstrual cycle indicates that the ovaries are likely to be producing the right balance of estrogen and progesterone, which helps the uterine lining to develop well and the uterine environment to be ideal for implantation. 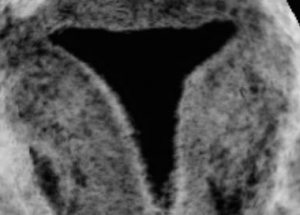 Check for any structural impediments inside the uterus. If necessary ask your reproductive specialist to arrange for the removal of polyps or fibroids affecting the lining or other internal structural impediments. It may take several months to improve the symptoms. Blood flow to the uterus. 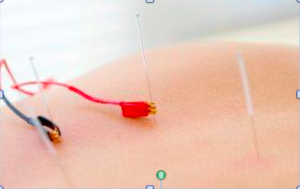 Some small studies on infertile women have shown an increase in blood flow in the uterine artery after electro-stimulation of acupuncture points on the abdomen. One study showed that electro-stimulation also significantly improved the appearance of the lining (remember that trilaminar appearance? ), the endometrial and subendometrial vascularisation index and the rate of embryo implantation, and pregnancy. In these studies fine needles were inserted into acupuncture points on the abdomen and legs, or TENS pads placed on these points, and a mild current passed through them so a gentle pulse could be felt. We are awaiting larger studies on the effect of acupuncture and blood flow through uterine arteries on pregnancy rates before claims can be made as to its effect on pregnancy rates. (Human Reproduction 1996; 11:1314-1317; Taiwanese Journal of Obstetrics and Gynecology, 2009, 48, 148-151; Acupunct Med 2014;0:1–7). We know that stress can affect the immune system, elevating levels of activated T cells in the uterine lining, reducing implantation rates of embryos. 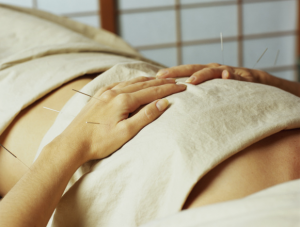 Acupuncture is one way many patients choose to manage stress and anxiety, and this may be one way that it helps to support women having difficulty conceiving. 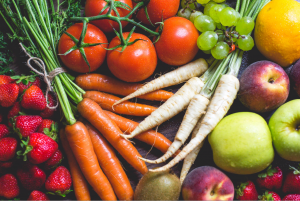 You’ve heard it all before, I’m sure…..but did you realise that what you eat actually directly influences the environment of the uterine lining and implantation, and this can be measured? You should emphasise fresh vegetables and fruits, with good quality protein especially from vegetable and fish sources, rather than too much meat. How to improve the Uterine Lining Acupuncture and IVF outcomes? Dose matters.